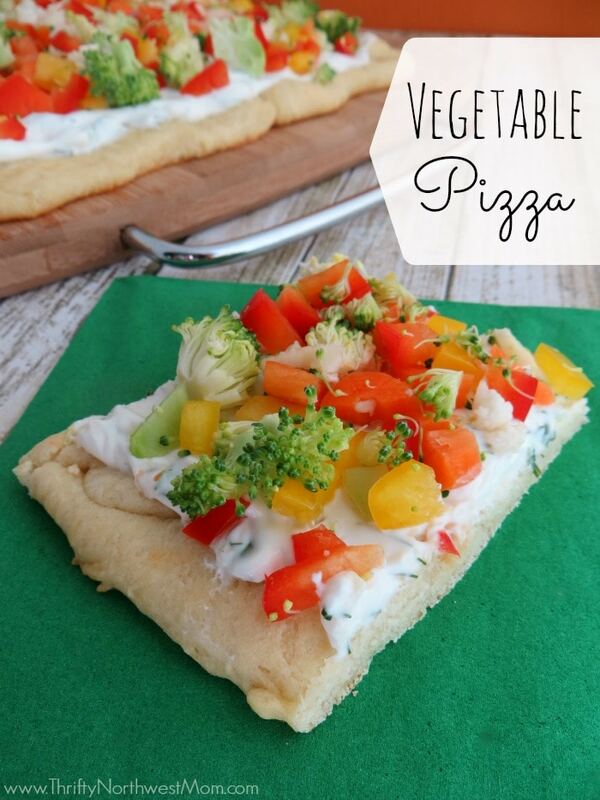 Vegetable Pizza Appetizer – Healthy Party Appetizer or Game Day Snack! If you’re looking for a healthier option to bring to a party for the big game, we’ve got a yummy recipe for you that is fast & easy – it will take about 20 minutes to throw it all together and cook it. If you’re cooking for a crowd, you could make two of these easily too to have more servings. 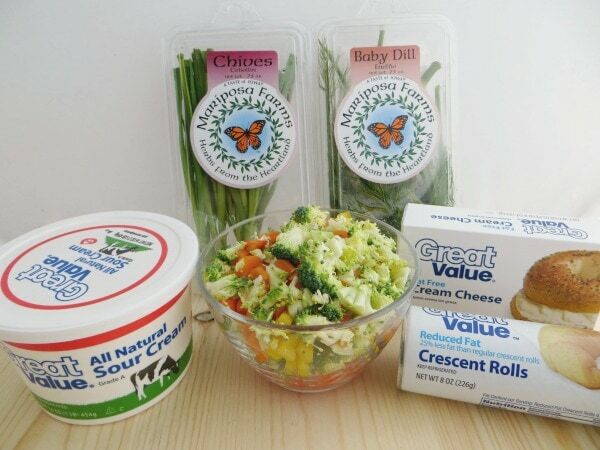 *Use reduced-fat crescent rolls and cream cheese and light sour cream to make this dish healthier. 2. 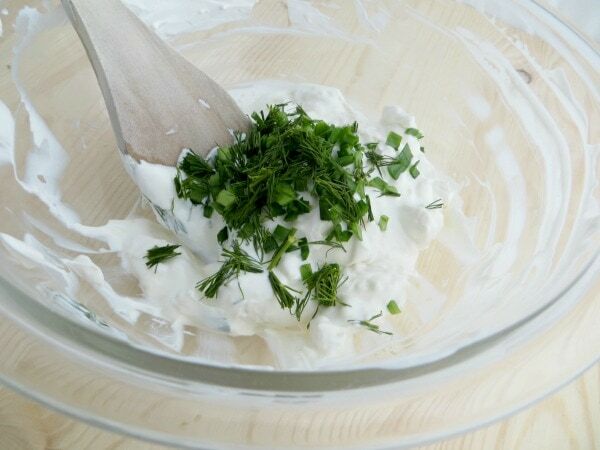 Combine sour cream, cream cheese, dill and chives in a bowl. Let chill. 3. Remove crescent rolls from can and roll out onto a non-stick or parchment-lined baking sheet. Pinch together all seams to create one rectangular shaped pizza crust. 4. Bake for 6-7 minutes. Remove and let cool. 5. Spread chilled cream cheese mixture onto cooled crescent roll sheet. 6. Top with fresh veggies and additional chives if desired. 7. Cut down to appetizer size pieces and serve. 8. Can be refrigerated for up to an hour before serving. 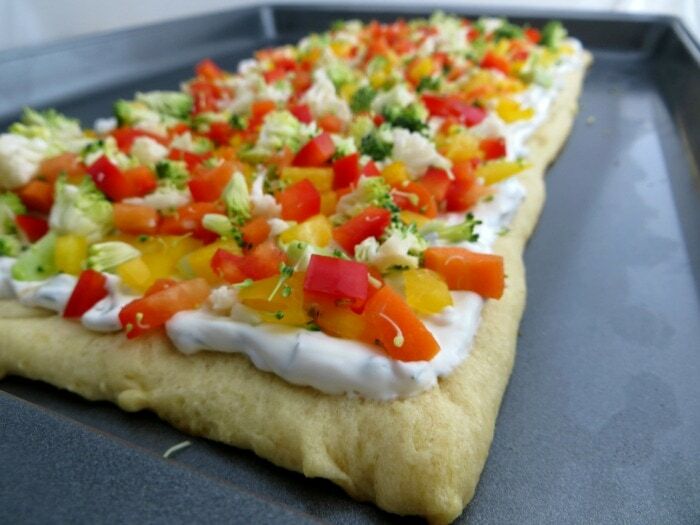 Vegetable Pizza Appetizer – Healthy Game Day Snack! *Use reduced-fat crescent rolls and cream cheese, and light sour cream to make this dish healthier. Combine sour cream, cream cheese, dill and chives in a bowl. Let chill. 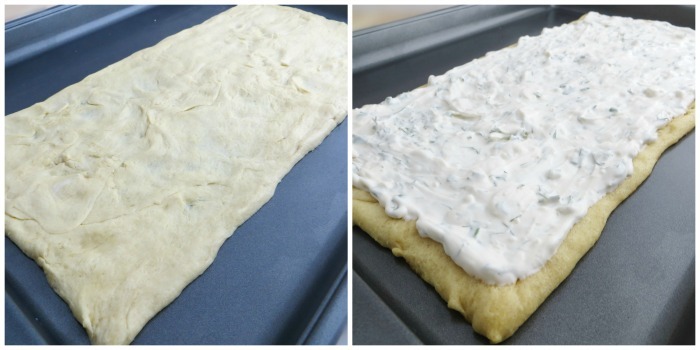 Remove crescent rolls from can and roll out onto a non-stick or parchment-lined baking sheet. Pinch together all seams to create one rectangular shaped pizza crust. Bake for 6-7 minutes. Remove and let cool. Spread chilled cream cheese mixture onto cooled crescent roll sheet. Top with fresh veggies and additional chives if desired. Cut down to appetizer size pieces and serve. Can be refrigerated for up to an hour before serving. Popcorn Bar – Perfect for Game Days (Easy On the Budget Too)!